Series: Collins Need to Know? This one-stop practical guide will show you how to prepare week-by-week for a relaxed and confident birth. To make your progress easier, it comes in a handy format with colour photos and expert advice throughout. This book gives a complete overview of baby development through pregnancy and birth. Its combination of conventional mainstream and complementary medical info reflects the way most pregnant women approach their care today. There's also plenty of information for the father-to-be. It is full of lots of quick tips and realistic info, so is practical and undaunting to use, but also includes web resources such as, for example, checking on specific tests or finding decent maternity clothes. 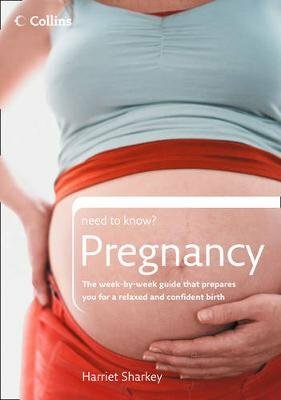 Contents include: week by week overview; what to expect at appointments; eating well; exercising and relaxing; labour and birth; A-Z of common problems.